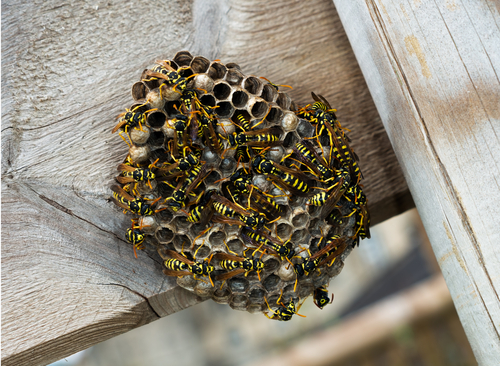 Khitan Bird and Pest Solutions are a local S hrewsbury based business and have been out and about in Shrewsbury and the Shropshire countryside coming to the aid people and businesses with wasps, hornets and bees this season. Wherever possible Khitan Bird and Pest always try to remove a bees nest and safely relocate it. Khitan – ( Kite-an ) are Industry Registered Professionals, Members of the BPCA – British Pest Control Association and the only pest control company in Shropshire, Midlands, Wales and Cheshire recommended by Trust a Trader. So please, contact us in confidence. We truly are Shopshires Premier Pest Prevention Company.